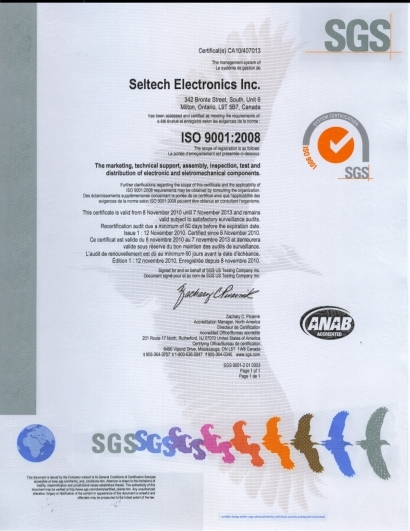 Dealing with Seltech Electronics means you're dealing with a company that is dedicated to meeting stringent international quality standards. We are an ISO-registered company, and the international manufacturers we represent are also ISO-registered firms. Our carefully monitored supply process ensures that all components are quality-checked and inventoried for delivery when you need them. 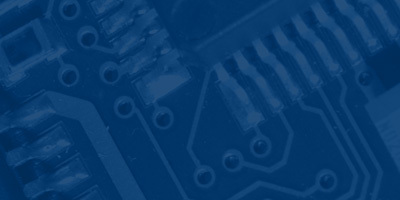 Our proven process and track record for outstanding product quality ensures you receive the highest value. Click here, or on the image at right, to view/print a PDF-format copy of our ISO registration certificate. You'll need the free Adobe Acrobat Plug-in for your browser to view this file. Contact Seltech for more information.